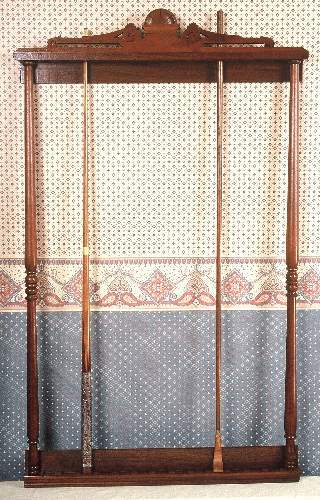 A pre-civil war walnut cue rack that will enhance any beautiful billiard room. Very, very rare and carefully restored and competitively priced too. Price: $2,750, plus packing, shipping, and ins.